Celebrating the Past... Anticipating the Future. 2000. 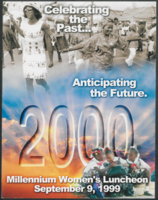 Millennium Women's Luncheon September 9, 1999.